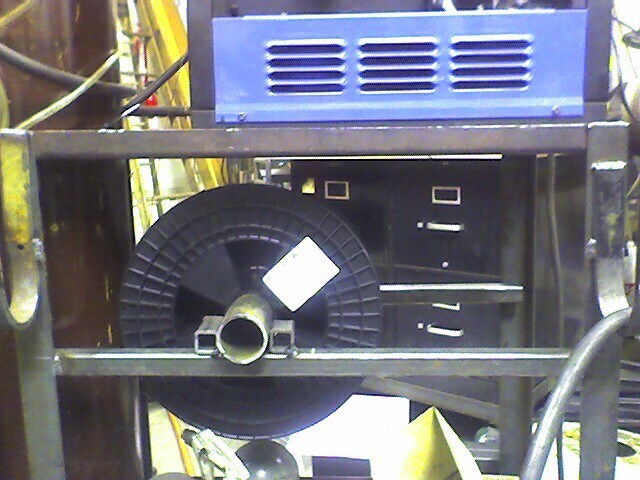 This is they welding equipment that we use when we need to glue metal together. This is Craig's mig rig. 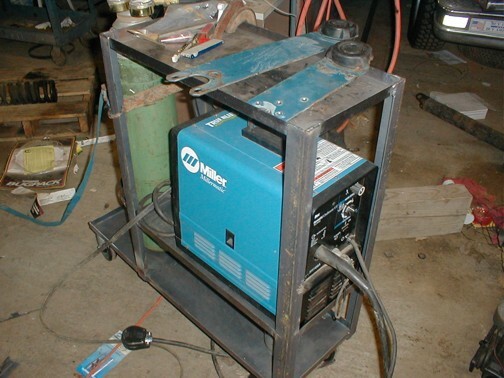 It is a Millermatic 185 MIG welder. Get the specs here. I mostly run .030 because of the versatility of the wire size. Currently use 75% Argon - 25% CO2. I would like to see how the 100% CO2 works out. This is Mark's MIG rig. 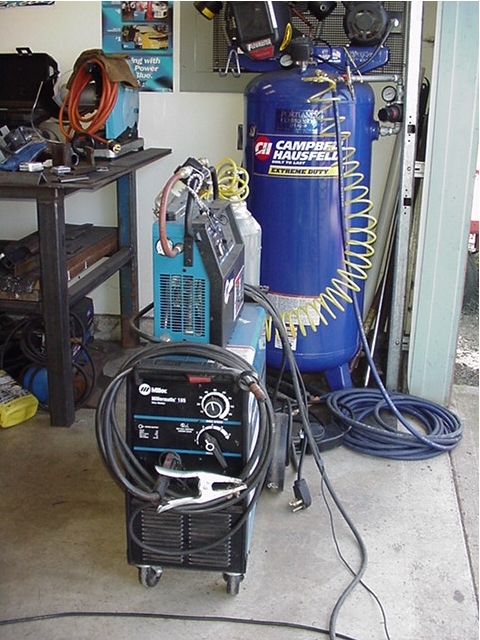 It is a Millermatic 172 Challenger MIG welder. Get the specs here. 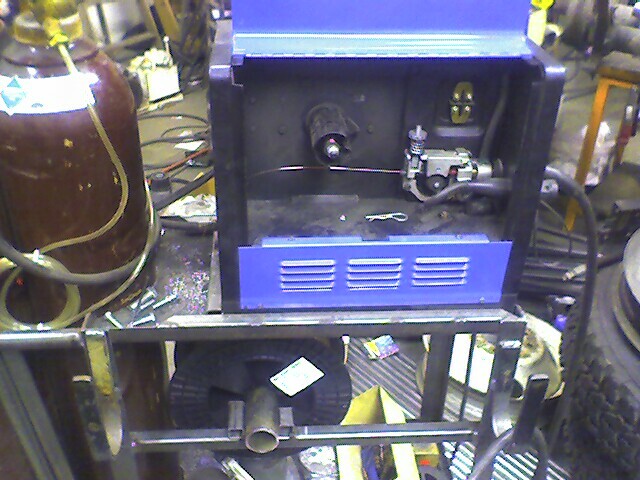 I made a modification to my welder so it would take the 33# rolls of wire. The wire is cheaper that way and lasts much longer. I basically hung the welding spool under the machine on the cart and ran the wire up the back and into the feed. It works great and now I can tell at a glance how much wire I have.